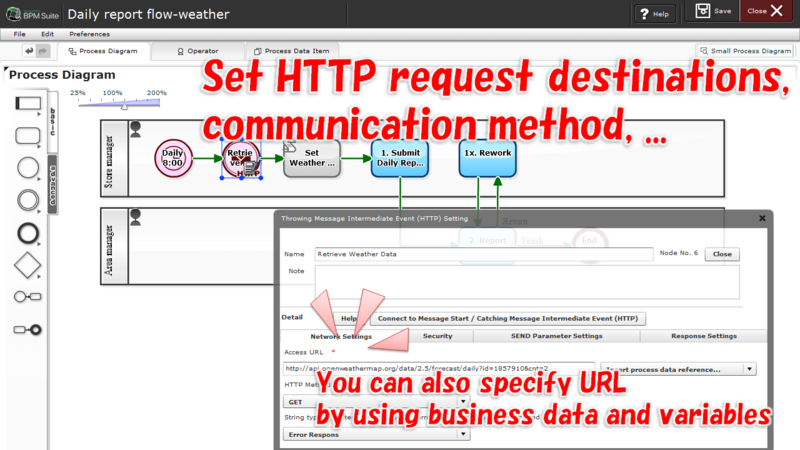 By placing [Throwing Message Intermediate Event (HTTP)], the HTTP request event, an HTTP request will be sent at arriving of the instance. 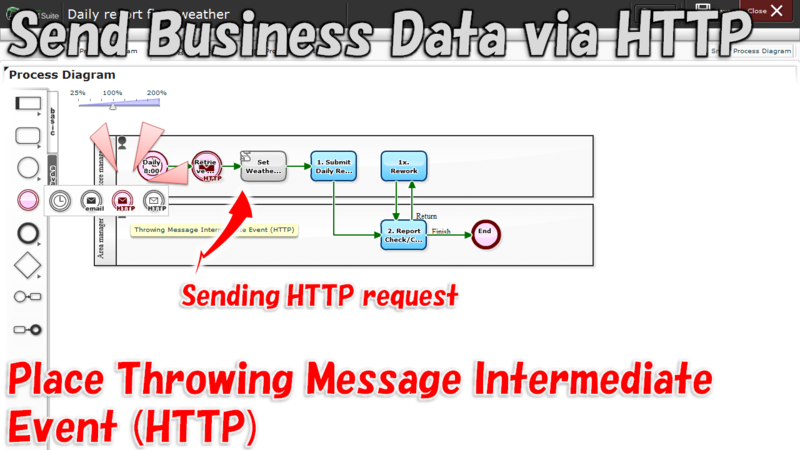 It is also possible to embed the business data that has been entered in the upstream processes into the request. For example, you can automatically get the weather information in the "daily report with the weather information". Methods of, GET, POST (application / x-www-form-urlencoded), etc. are available. 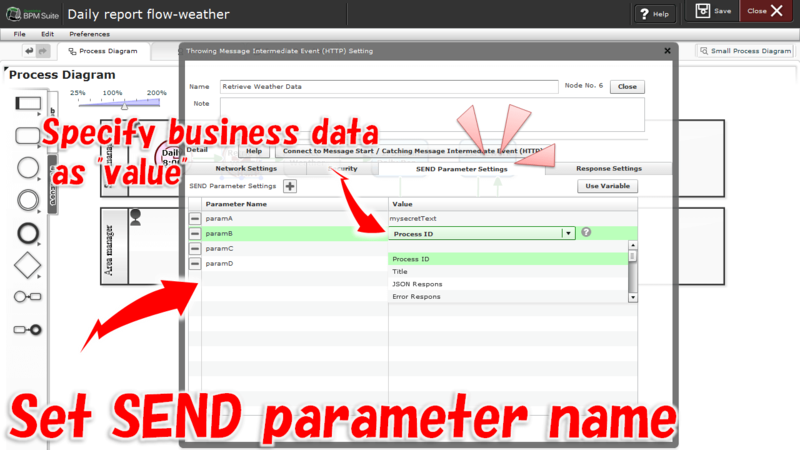 It is also possible to embed Business data into the access URL. Setting ID and Password to use the destination server. Setting granting automatic communication with the destination server. OAuth communication which Questetra is the client, is available only in OAuth 2.0. 2016-05-30 (Catalogue Request Response): Episode 485: Auto-addition to "Catalogue Mailing List"
2015-06-08: Easy Control on Data-viewing Authorization, by Dividing the Process!